Dreamforce 2017 is the world’s largest tech event organised by a manufacturer, much bigger than the ones organised by Oracle with Open World (around 60,000 visitors) or Microsoft’s Ignite (approximately 25,000). And, like every year, S4G was there as a Platinum Partner. What can you say about an event which has drawn over 150,000 people in the past 3 years and which sees San Francisco’s population rise by around 15% over the 4 days it is running? Last year I listened to the great Tony Robbins describe Dreamforce as “Disney for geeks” and it’s true that the good vibe, the energy and enthusiasm surrounding the event are not only surprising but also contagious. Salesforce customers, prospective customers and partners attend the event with a childlike enthusiasm for an amusement park, keen to discover everything on offer! 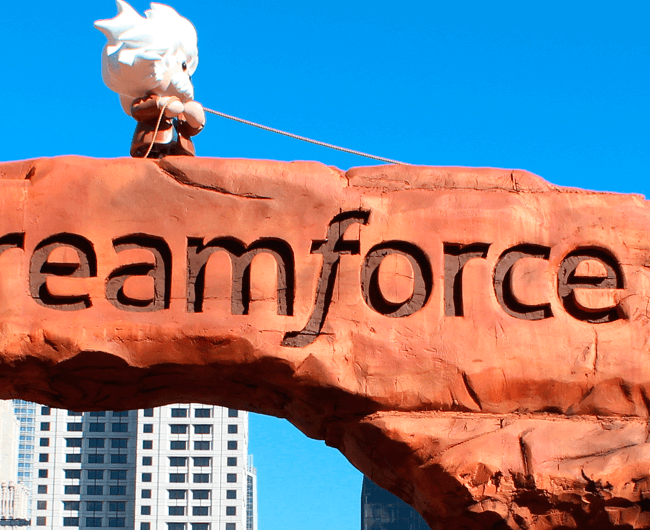 I remember the first time the S4G salesforce went to Dreamforce, back in 2009, the year that Salesforce announced Chatter, the CRM-embedded corporate social network which was absolutely revolutionary for the time. There were fewer than 20,000 in the crowd at San Francisco back then. This year there were over 170,000! Since then we’ve been able to attend the annual Salesforce event on a regular basis, sponsoring the Spanish delegation as partners since its creation in 2012 and having the opportunity to hear speakers of the likes of Angela Ahrendts (former Burberry CEO), Richard Branson (CEO Virgin), Al Gore (talking about his “inconvenient truth”), former Secretary of State Colin Powell, Yahoo CEO Marissa Mayer, Facebook COO Sheryl Sandberg and, this year, Michelle Obama, the charismatic former FLOTUS with exemplary values. 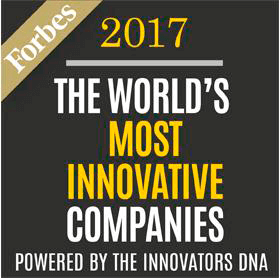 Salesforce leverages Dreamforce to announce a functionality that has just become available or which will go to market soon, drawing attention to the innovation for which it is known and which has made it the six-time winner of the Forbes title of world’s most innovative company. 2016 – Einstein CRM- and platform-integrated AI (Artificial Intelligence) to utilise machine learning and deliver system intelligence. 2015 – IOT The IOT (Internet Of Things) cloud is announced for real-time information on the devices that a company wants to monitor and to trigger events. 2014 – Salesforce Analytics, Lightning The announcement of the Salesforce interface change from Classic to Lightning may have seemed like CRM window dressing at the time but has proven to be much more than that. In terms of the Analytics cloud, it was the last bastion left for Salesforce to conquer: having a much more powerful analytics inside the platform. 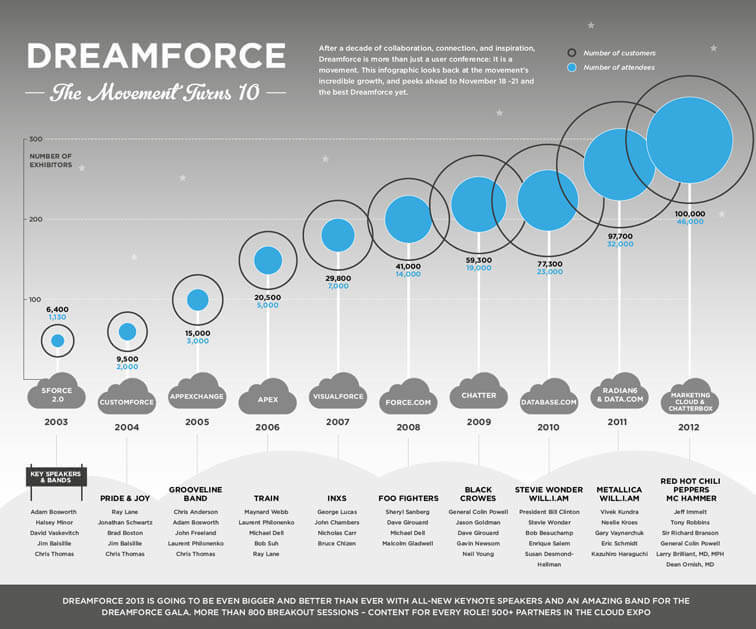 2013 – Salesforce1 Given the speed at which mobile technologies appear and disappear (Blackberry, Windows Mobile, etc.) it was important to move from native apps on devices to a much more powerful and cross-platform app because you never knew how long mobile devices would be around in the near future (Salesforce1 was compatible with Apple Watch when it hit the market). 2012 – Marketing Cloud Prior to 2012 Salesforce was a tool almost exclusive to B2B and with serious shortfalls in terms of marketing. That’s why it had to be supported on Appexchange applications. With the creation of Marketing Cloud via the acquisitions of Exact Target, Radian6 and Buddy Media, Salesforce plugged a considerable gap. What was announced this year? In our opinion this year witnessed many things in line with Einstein’s consolidation as a Salesforce differential factor. Last year Einstein was purely a vision – this year it was a reality. Announcements included: Einstein Prediction Builder to create predictive models on any database object or field, and Einstein Bots, making it possible to create and train chatbots to provide enhanced automated and smart customer services. 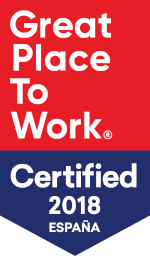 The announcement with the greatest potential was without question the strategic partnership between Google and Salesforce. This will not only provide Salesforce with better integration with GSuite (Google Apps) but make it possible to integrate Marketing Cloud with Google Analytics, making the Salesforce Marketing Automation platform even more special. 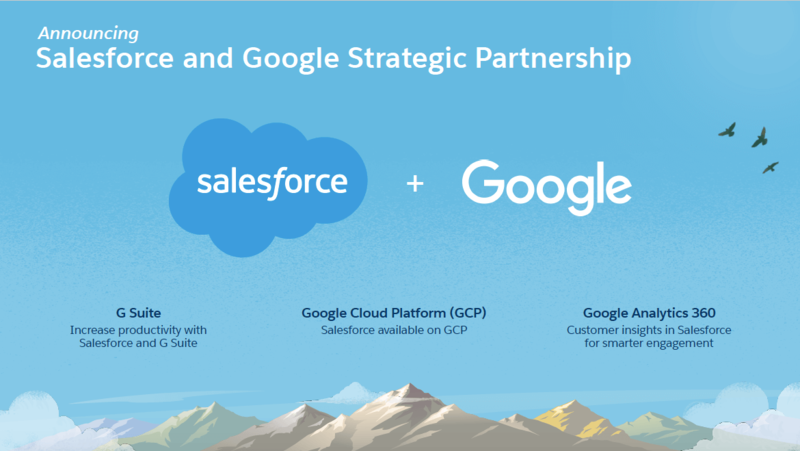 Furthermore, Salesforce will be supported on the Google platform to expand its international infrastructure (remember Salesforce launched a similar agreement with Amazon in May 2016). Integration with Analytics will, among other things, make it possible to define audiences in Google Analytics which trigger marketing journeys and enable Salesforce sales info to reach Google Analytics for analysis. Regarding GSuite, this integration will, for example, mean that for the first time you can send Salesforce info to Google Sheets and integrate it in a two-way fashion (making it possible, for example, to update Salesforce date from Sheets). Google will suggest future actions in line with email content and will be able to have Salesforce information in Hangouts to have the context of the business and the person you are interacting with. As is the norm, roadmap (or rather, in Beta) functionalities were announced during the event of the difference Salesforce clouds, such as, for example, Lightning Dialer, Dynamic pages and Report Builder for Sales Cloud. myTrailhead which makes it possible to create e-learning sites using Salesforce technology, with gaming (via points and badges) as happens with Salesforce Trailhead. myEinstein To create apps with embedded AI. myLightning Creating personalised apps with a corporate look and feel will be child’s play for companies. mySalesforce To create platform apps available at Google Play or App Store. 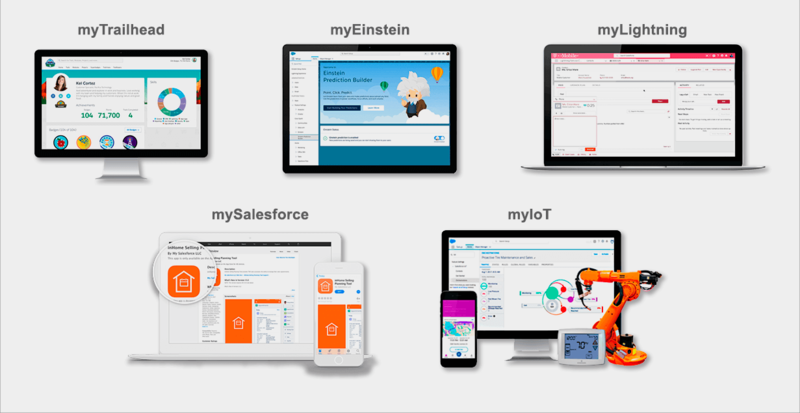 myIoT Makes it possible to link the worlds of IoT with the Salesforce platform to trigger sales, marketing or customer services events via IoT events. Our solution Currency Updater was presented as one of the top Appexchange solutions at a Dreamforce session last year. This year we had the pleasure of the company of our friend and customer Juan Manuel Caballero, CIO of Trasmediterranea, who explained the success of his complex Service and Marketing Cloud project at a breakfast for the Spanish delegation and conducted a live demo of its implementation that wowed the crowd. Juan Manual was also invited to one of the Dreamforce panels to discuss his experience with the project. 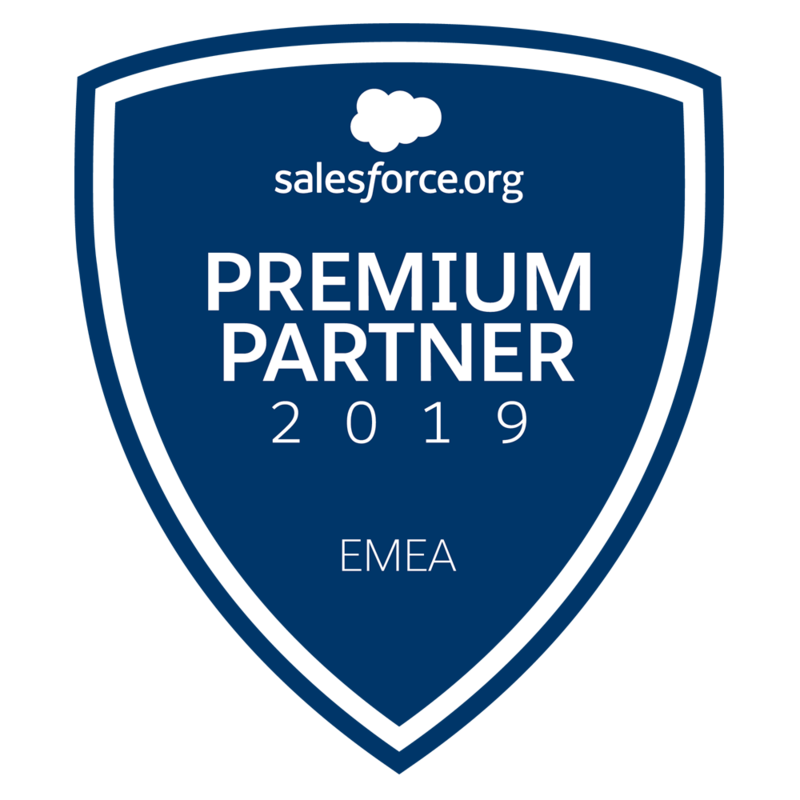 We were thrilled to attend the Salesforce event of year once more and engage as a Platinum Partner sponsor of the Spanish Salesforce delegation and reach out to its 200-plus members. Next year, Dreamforce 2018 will be held from 25 to 28 September and we hope to see you there! PS: Check out the photos of our team at the Dreamforce 2017 sessions and events.